Hence, a coaxial cable won’t fulfill the MIL-DTL-17 specification unless it meets each category of criteria. Depending on the application, some “Hi-Rel” coaxial cables may call out only specific requirements of the MIL-DTL-17 specification. There are four key areas of inspections detailed in the specification, material, qualification, conformance, and final inspection. Failure at any of these inspections often requires discarding failed parts and/or re-inspection. The exact parameters and methods of these tests are detailed in MIL-DTL-17, and/or are further detailed in referenced military and industrial specifications. These tests must also be performed in a qualified facility and the cables tested for qualification and conformance must be produced in the same was as production cables. Many of the specifications within MIL-DTL-17 are referred to as “RG”, though RG coaxial cables have become a generalized industry term, and not a standardized set of cable specifications. 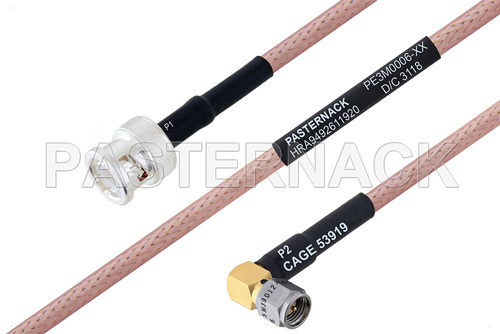 For example, MIL-DTL-17 thoroughly describes maximum attenuation over a range of frequencies, along with precise physical properties, such as conductor plating thickness, and there are no such specifications defining RG coaxial cables. Moreover, a MIL-DTL-17 coaxial cable supplier should have their product on the Qualified Products List (QPL), which isn’t case for readily available RG coax.